Lou's World: Some happy scrappy news!!! I've been keeping this secret for about a week now, although it seems so much longer than that!!! 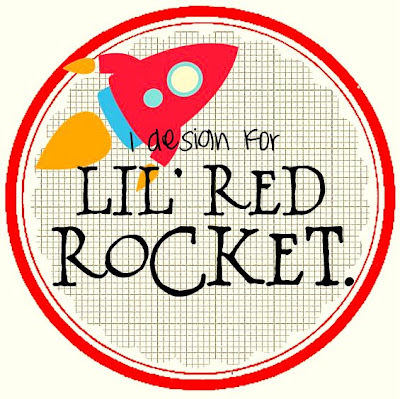 THE LIL' RED ROCKET DESIGN TEAM!!! BUT! YES! I know what familiar place your talking about!! Congrats on being accepted, I think you totally deserve it! Just fabulous Linda. I am so excited for you.